VICTORY: Aussie greyhounds spared cruel export to Macau! This is HUGE. No Australian greyhounds have been sent to Macau's cruel Canidrome since our investigation into the terrible fate awaiting them was made public three months ago. Despite an industry ban last year, 30 dogs were being flown from Australia to Macau every month, like clockwork. A ticket to Macau meant a death sentence for every single one of them. When our investigation was broadcast on national television in December 2015, Australians were horrified, racing bodies launched internal inquiries, and attention turned to the airlines, which had unwittingly become a vehicle for this murky trade in Australian dogs. Public outrage led to an unprecedented commitment from Qantas to no longer fly racing dogs to Asia, and it seems others have now followed. There is currently no place on any plane for any Australian greyhound to Macau! 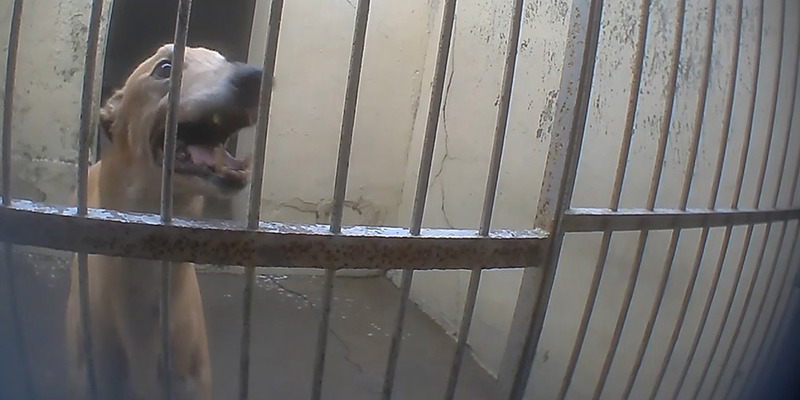 Operating under our global arm, Animals International, our EU-based colleagues will be lobbying authorities in the UK and Ireland to ensure dogs from those countries don’t fill the cages left empty by greyhounds from Australia. And for the hundreds of dogs still living at the Canidrome ... local animal protection group Anima has committed to the Macau government that if a decision is made to end greyhound racing in Macau, Anima will find homes for each and every one of them. And we have pledged to help them do so. Help lock in this win! Airlines have taken action when our Federal government refused to intervene. The best chance we have of this trade not starting up again is a legal ban on the export of dogs from Australia to China. Please add your voice to these calls and help make this good news ‘official’.